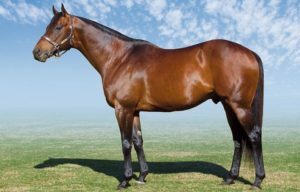 Highlands Stud part of Ridgemont’s outstanding stallion Dynasty had a field day at Durbanville on Wednesday. 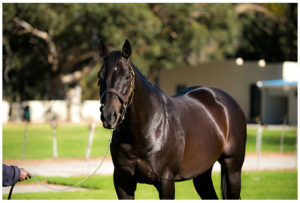 Not only was South Africa’s Horse Of The Year in 2002 responsible for two very impressive 3yo winners, but his triple G1 winning son Jackson was responsible for an eye catching debut winner in the form of Heaven’s Embrace. Dynasty looks to have a rising star to his name in the form of Front And Centre who stamped herself a filly to watch when romping home by a 1.75 lengths over 1400m. One of two winners on the card for jockey Anton Marcus, the Brett Crawford trained Front And Centre simply oozed class as she sauntered home to win as she liked, and she looks an exciting prospect in the making. The Highlands Stud bred 3yo is now unbeaten in two starts, having won on debut when scoring an impressive win over blue blooded subsequent winner Juniper Spring, and a tilt at the G2 Western Cape Fillies Championship is now on the cards for Front And Centre. Another Dynasty sired 3yo to catch the eye on Wednesday was the Justin Snaith trained Bunker Hunt, who stormed home from off the pace to score a half length win over the well bred Grand Silvano (who had earlier reeled off three wins on the bounce) over 1600m, with another promising Dynasty 3yo, Majestic Mozart, back in third place. It was an impressive win for the Varsfontein Stud bred Bunker Hunt, now a winner of two of just three outings, as he met the year-older Grand Silvano at level terms. Held in high regard by his champion trainer, the gelded Bunker Hunt had finished second to subsequent Sophomore Sprint runner up Elusive Trader on debut before thrashing impressive subsequent winner Vascostreettractor when shedding his maiden over 1200 metres. Bunker Hunt was a R700 000 buy from the 2017 National Yearling Sale. Dynasty’s son Jackson has made a pleasing start with his first runners including Saturday’s impressive winner Water Spirit, and the triple G1 winner (one of four Investec Cape Derby winners sired by Dynasty) made news yet again when his well bred daughter Heaven’s Embrace made a winning debut (for Jackson’s former trainer Brett Crawford) over 1400m on Wednesday. Dynasty, whose offspring include eight Equus Champions, has a single lot (Lot 21) on offer apiece at both the 2018 Emperors Palace Ready To Run Sale, and CTS Ready To Run Sale (Lot 70).